Whether you are just beginning your search for land, have it narrowed down to a few specific sites, or already own the property on which you will be building, we can offer our assistance to maximize the potential of your design. We are often asked to provide our feedback to buyers prior to going under contract with their land purchase, but more often than not the client comes to us with the land already in hand. When walking a lot with the client, important factors such as septic system ramifications, solar orientation, slopes and views of the property are discussed. We will also be looking at the architectural nature of the immediate neighbors, and how required building setback dimensions and other zoning restrictions may affect the best use of the site in question. Without gaining a firm knowledge of the building site first, jumping the gun by beginning architectural design too soon is like working in a vacuum, and will often result in having to make unwanted and painful concessions later on when the true facts reveal themselves. 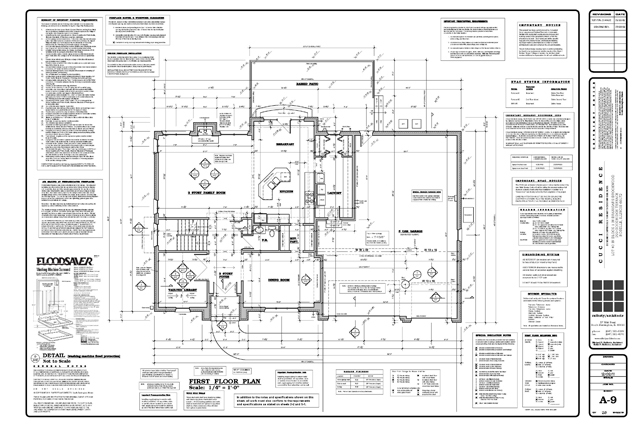 Before the Preliminary Design can start in earnest, we need to learn what the client wants in a house – both its specific space requirements as well as how the various zones of the house will interact with each other. We ask all the questions that clients expect, but we sometimes ask questions that surprise them. We also benefit greatly from learning what the client does not like. Many times, this learning process includes driving around town to discuss the pros and cons of various completed projects, or by seeing whatever clippings or builder brochures that the client may have collected over the years in their “Dream House File”. We encourage clients to bring as much information as possible to our design meetings, since the more the client can educate us as to what they like, the quicker the design process will move, but that is not to say that a client must come to us with a well-defined starting point – some of our most exciting design solutions came about for clients who started with an almost blank canvas. Using all the gathered information along with our years of training and experience, we generate a design scheme and then refine it to the client's liking. Clients appreciate our ability to send them electronic drawings and revisions to keep them updated with the progress of work in between face-to-face meetings. After the Preliminary Design has been agreed upon, we begin the Final Working Drawings phase in which the construction documents will be created. With the help of the modern CAD software, we produce Working Drawings which far exceed the quality of those from our competition. Our attitude is that houses are never built better than their plans were drawn, which is why we spend the extra time necessary to first build the house on paper so that we can give the carpenters the critical information and dimensions that they will need rather than expecting them to figure things out for themselves as they work in the mud and the rain. 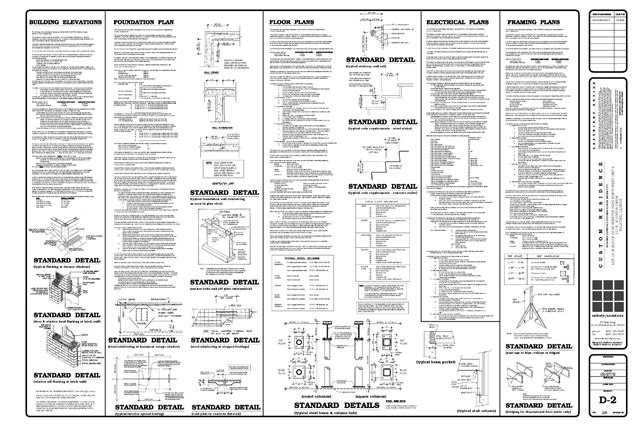 Our first-hand experience in both tract and custom housing has taught us what information and dimensions should be including in a good set of final working drawings, and what information is merely fluff that should not be included because nobody ever even looks at it . 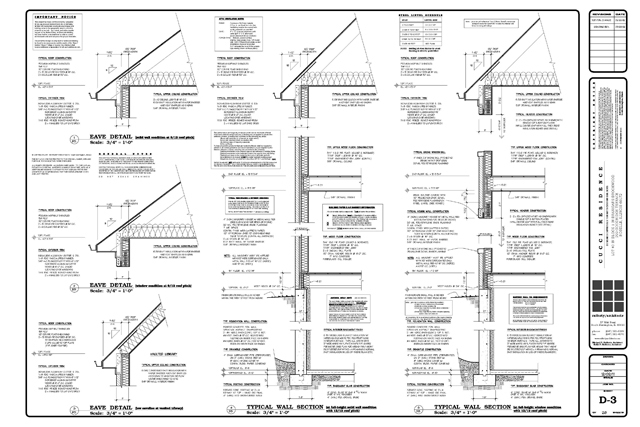 The resulting CAD files are routinely shared with consultants, engineers, and tradesmen to ensure coordination between all parties responsible for the various facets of the design. 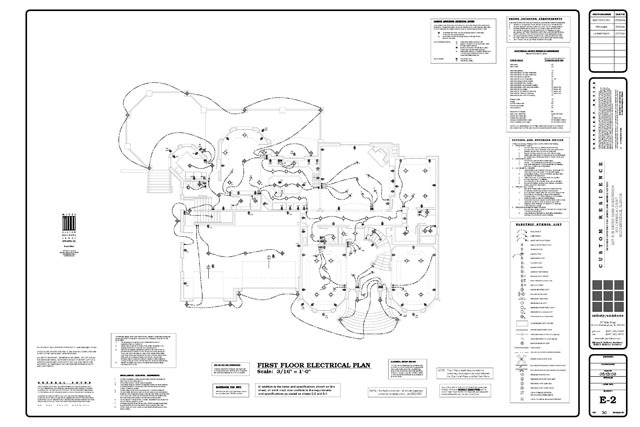 We then coordinate the distribution of blueprints needed for the bidding, permit, and construction processes. As an optional service to those clients who request it, we offer 3-D modeling and visualization capabilities using leading-edge software in the architectural industry. Some clients have difficulty envisioning what their completed project will truly look like from only two-dimensional elevations and floor plans. This resource often will often complete the picture in the client's mind before they embark on a new project. Other benefits of the process include the quick evaluation of various material and color schemes, sun studies to evaluate solar efficiencies of the design, and the ability to output presentation-quality images and animations. 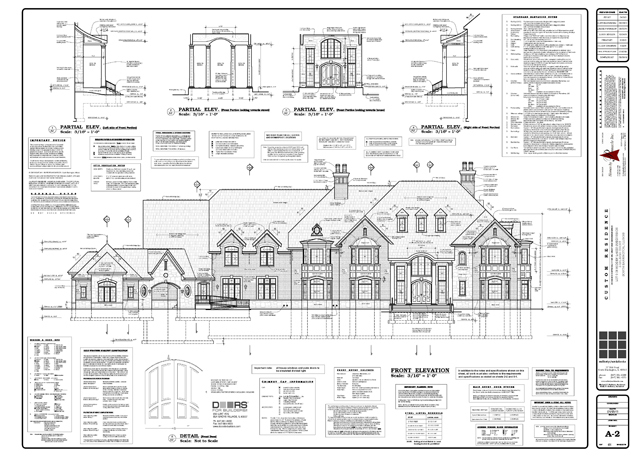 We perform all building plan review and permit issuance work for the Villages of both North Barrington and South Barrington. In addition to experience serving on the South Barrington Village Board, the Plan Commission and the Architectural Control Committee, we also serve as the consulting Architect for more than a dozen subdivisions throughout South Barrington, so we have a very good handle on what the review committees are looking for, as well as for what they do not want to see. "Brains first and then Hard Work ... That's the way to build a house" said Eeyore.